With March Madness in full swing, it’s time to break out some division I worthy snack recipes. Whip up these crowd pleasing munchies and cocktails with time left on the clock so you can pay attention to the basketball game rather than the oven. With March Madness in full swing, it’s time to break out some division I worthy snacks. Whip up these crowd pleasing munchies and cocktails with time left on the clock so you can pay attention to the basketball game rather than the oven. 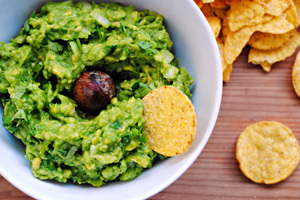 A perennial game day crowd pleaser, homemade guacamole with tortilla chips is always a welcome addition to any spread. As a bonus, avocados are full of good fats (yes, there is such a thing!) and vitamins, making them a healthy addition to your diet. What better way to enjoy them than in a tangy, creamy guacamole? 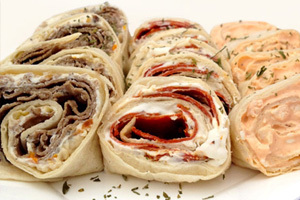 It doesn’t get much easier than tortilla roll ups. But just because they’re no fuss doesn’t mean you can’t have some fun with the flavors. Try these game day-inspired combos like Philly cheesesteak, pepperoni pizza and creamy buffalo chicken. 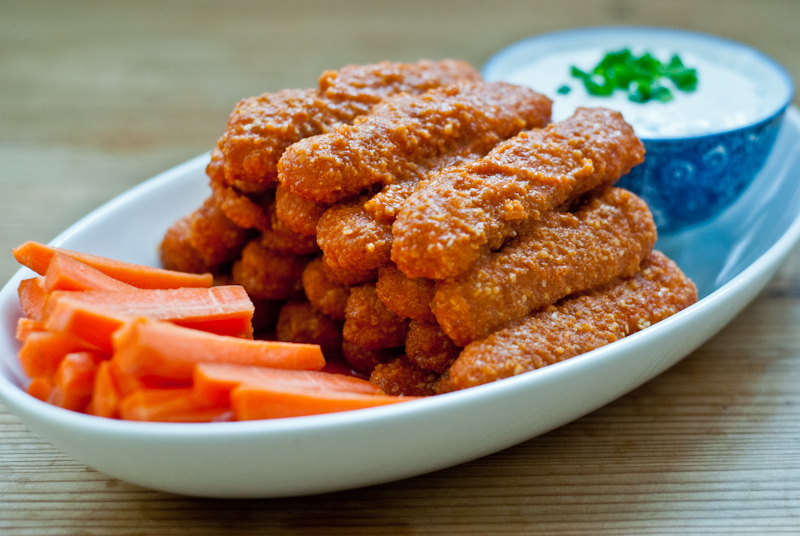 Making your own wing sauce couldn’t be easier and using chicken fingers instead of wings cuts down on prep time as well as the mess. Serve this buffalo chicken wings recipe with blue cheese dip, celery sticks and plenty of napkins for the ultimate March Madness viewing party. Bake tenders for 15 minutes, or according to package directions. Add hot sauce and stir to combine. Remove from the heat and toss tenders in wing sauce. Beer is usually the beverage of choice for March Madness shindigs, but why not spice things up this game day with a beer punch recipe? 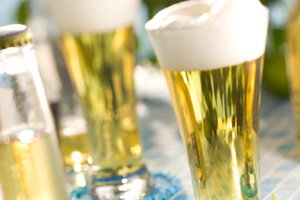 Lager is mixed with Sprite and citrus juices for a light, sparkling refreshment that’s more festive than a keg. 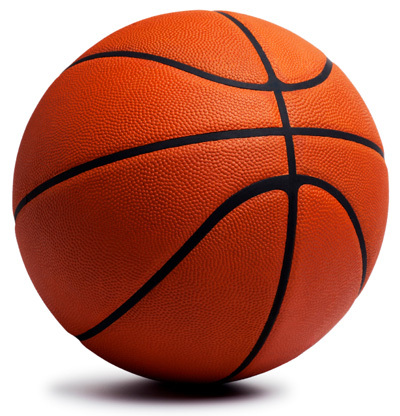 March Madness doesn’t have to be all about the booze. Make teetotalers comfortable and give kids something special to drink with a fun selection of mocktails. 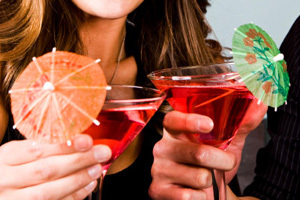 Everyone will want a sip of creative alcohol-free drinks like sparkling virgin cosmos and pineapple-passion lemonade. This light drink takes mere moments to prepare and is the perfect complement to all the game day food. Nothing calms the spice of hot wings like a refreshing cocktail! 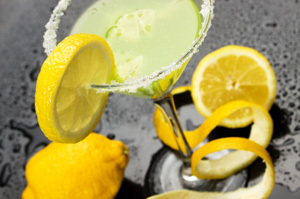 Pour the vodka and lemonade in a tall glass with ice and gently stir to combine. Squeeze a dash of lemon juice over to finish and serve.